In Word, outlines are also called multilevel lists. The following steps show how to write a new outline from scratch. 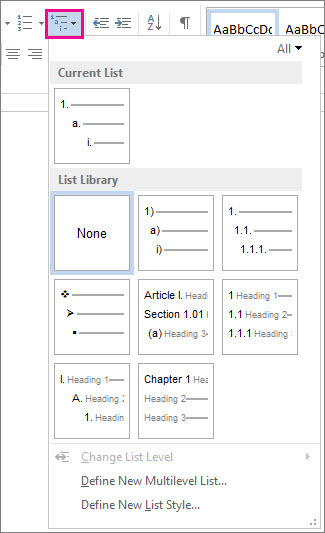 If, instead, you want to view an existing document in outline form, read Use Outline view to manage headings and arrange text. When you start a paragraph with an asterisk and a space (* ) or with number 1 and a period (1. ), Word displays the AutoCorrect Options button and begins building a bulleted or numbered list. If you don't want a bulleted or numbered list, click the AutoCorrect Options button and then click Stop Automatically Creating Bulleted Lists or Stop Automatically Creating Numbered Lists. 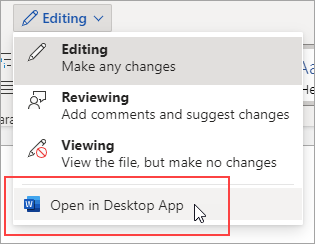 You can view an existing outline in Word Online, but you can’t create and format an outline automatically the way you can in the desktop version of Word. If you have the desktop version of Word, first use the Open in Word command to open the document in Word. Then, follow the instructions in the Windows tab. When you’re done and you've saved the document, you’ll see the outline when you reopen it in Word Online.